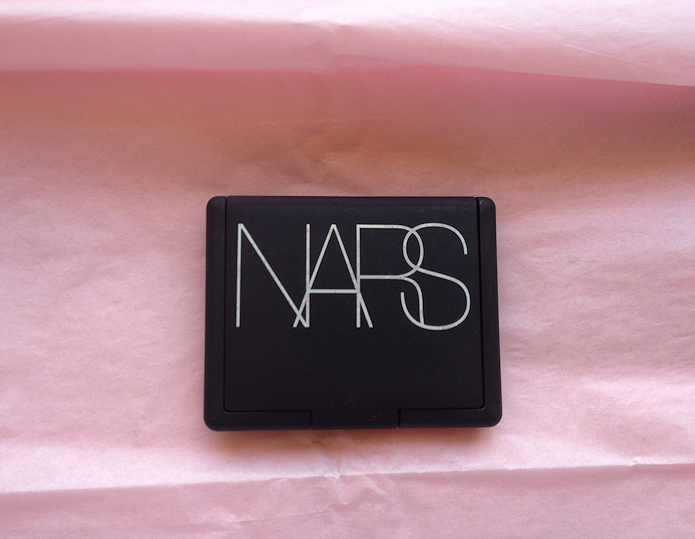 This was the first NARS product I ever bought. It’s a lovely watermelon color with a red undertone and gold shimmers. I honestly don’t use it as often as my other blushes because I have found that I prefer matte finishes. It’s a shame because this is gorgeous. I’ve been trying to reach for it more often. 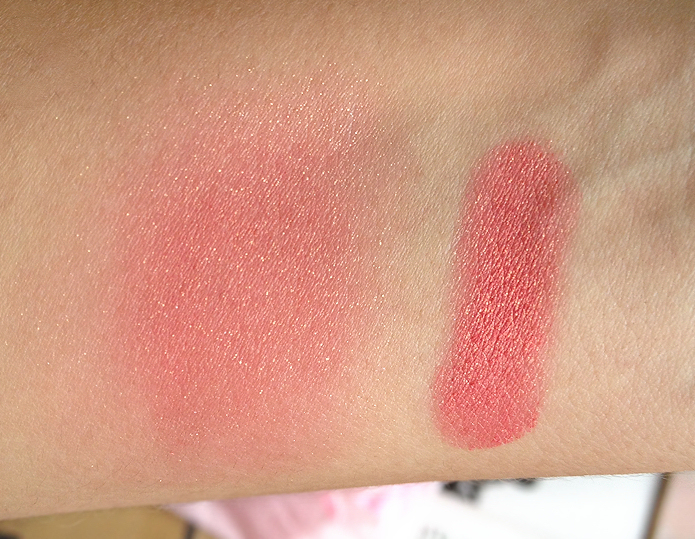 The glitter is very fine, the blush blends well and doesn’t feel gritty at all! It lasts a long time on my cheeks, specially since it’s a strong red color. It’s definitely not a color for everyone tastes because of the shimmer and the red tones, but the formula is great. I also use it on the lips sometimes (I use any cream blush on my lips). I remember when this was first released- there was so much buzz about it! It really is such a beautiful shade. Thanks for the reviews and swatches! I will DEFINITELY be owning my first Nars blush in the next couple weeks. 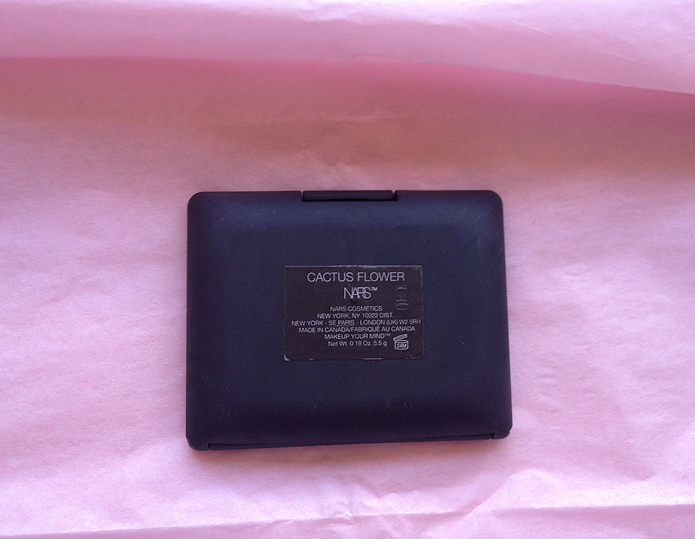 I have fallen in love with shimmery blushes…cactus flower perhaps? Nice colour! I still haven't tried Nars blush! This color is so gorgeous. that is a pretty blush color. I don't mind shimmers but I prefer them to be minimal, at least for the cheeks. 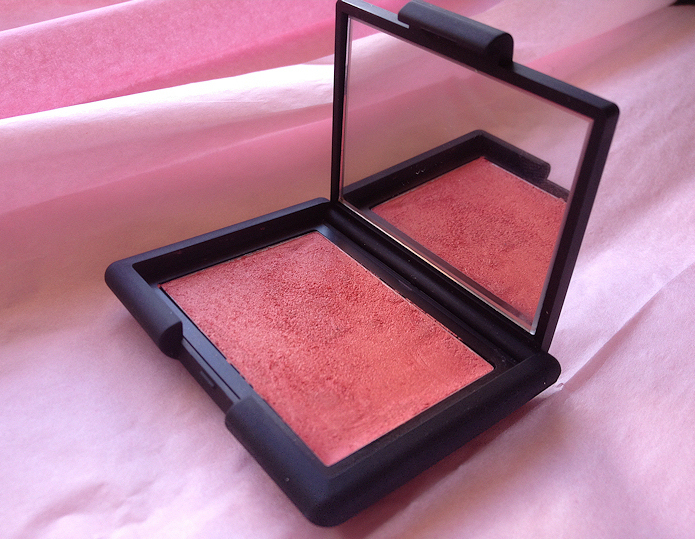 Yes, I'm a matte blush lover as well but the shimmer in this blush is so well done. I love it! Oh wow this is just beautiful! I will definitely check it out next time I am in Mecca.